An absolutely charming late 18th century chateau set in extensive grounds of 16 acres with gite, studio, outbuildings, swimming pool... and with a going-concern quality Bed and Breakfast business (if required). Presented in move-into condition throughout, this extensive property offers in the chateau spacious reception rooms, 5 en-suite B&B rooms, 3 further bedrooms, a 3 bedroom letting gite , a substantial studio building and further outbuildings. Ideally set up to generate income from B&B, gite letting and seminars/workshops..... or as a home for a large family. Located nr the ancient bastide of Aiguillon, Lot et Garonne and close to the confluence of the two rivers Lot and the Garonne. Located on the edge of a small village ( an ideal position for B&B) with drive access into a courtyard around which are the chateau, gite, studio and outbuildings. Ample parking outside and under cover. Steps up to the double door entrance to the chateau and an attractive entrance hall that traverses the property to doors out to the rear terrace and views over the gardens. To the right a spacious dining room with beautiful walnut wood parquet, high ceiling and carved marble fireplace, fitted cupboards ( as in many of the rooms). A sunny salon with pine parquet, carved marble fireplace and 2 windows overlooking the gardens to the south. Cosy study to the left of the hall with lovely glazed bookcases. The fitted country kitchen has old pine floor, double aspect east and south and open fireplace.Utility room/larder. On this floor are 3 double bedrooms, a bathroom and shower room ( currently used as owner’s bedrooms). Lovely elm stairs lead to the first floor where there are 4 double bedroom suites each with bathroom, and air conditioning. These spacious ( 30m2 +) bedrooms are stylish and currently let for B&B. On the lower ground floor is a further B&B suite with bedroom, living room andbathroom. Also here are workshops, store rooms, wine cellar and laundry. From the sunny south facing rear terrace you look out over the gardens and beyond to grounds planted with some 2000 specimen trees. The 10m x 5m swimming pool (installed 2016) is set in generous stone tiled terraces and benefits from a sunny location with views over the garden. Security shutter and WC. In the courtyard is the guest cottage or letting gite which was completely renovated and equipped in 2016 to offer 110m2 accommodation with reversible air conditioning. Living room with French window to terrace and private gardens, fully fitted kitchen, 3 double bedrooms and 2 shower rooms. Access to swimming pool. The handsome facade of the studio is across the courtard. Inside it is completely renovated to offer two rooms ( 100m2 in total) ideal for seminars, art/yoga classes or just for partying ! Behind is a large open barn of 100m2 and a closed barn of 100m2. These buildings could easily be converted to other uses. Also, a tobacco drying barn for storing tractors etc. Energy Efficiency: expressed in kW hours per m2 per year. On the edge of a small village nr the ancient bastide of Aiguillon, Lot et Garonne. Easy access to the A62 motorway and then to Bordeaux 1hr and Toulouse 90mins. 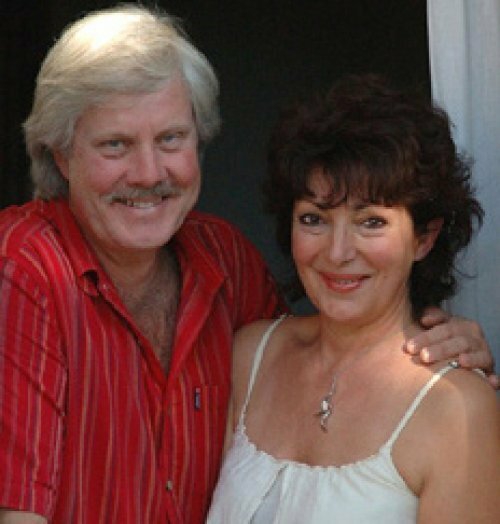 Violette and Carl are owners of our partner agency that covers the Lot-et-Garonne, Tarn-et-Garonne, and parts of the Lot and Gers. This is the grand Sud Ouest of France - rural, beautiful, peaceful and with a climate most people dream of. Long hot and dry summers, short and bright winters. The typical stone houses they have for sale are in peaceful locations with views. Their aim is to personally guide you to exactly the right property. And, having done this for 30 years you can be assured of their professional service.